Completely original, unique & individual antique baths - beautifully restored by hand. Complimentary Traditional accessories. Edwardian, Victorian, Art Deco, Manor House, Country Cottage. With over 100 baths in stock at all times - it's certainly worth a visit. Antique bathroom equipment bought and sold. 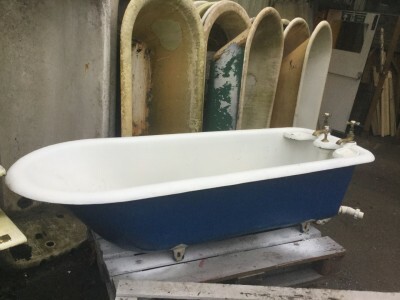 Full bath re-enamelling service, in-situ or in workshop. Restoration service. UK nationwide 'door to door' delivery service.